Seaton Spring water is drawn from the deepest borehole of any 19 litre source in the UK. The depth of the limestone aquifer from which it is drawn guarantees the consistency of our crystal clear rock filtered water. Our water is bottled at source and constantly undergoes rigorous tests by AES Laboratories, part of the Northumbrian Water Group, to ensure that the water you receive is of the highest standard. 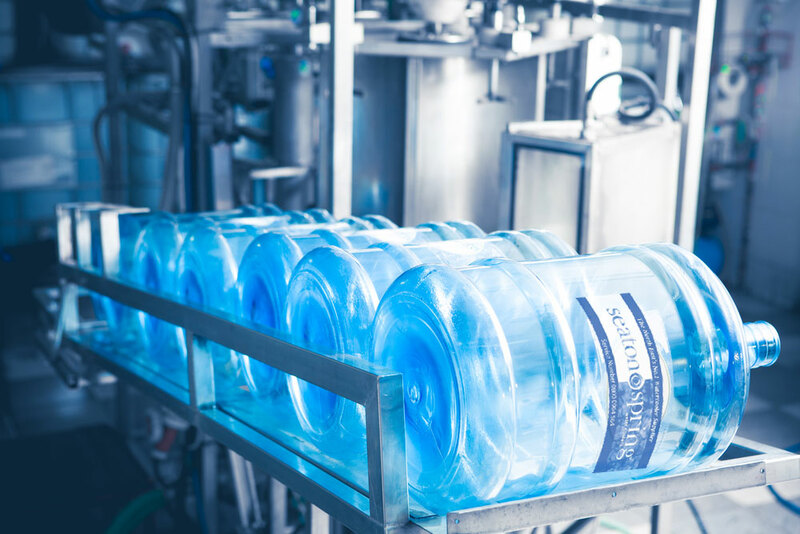 To complement the quality of our water the high standards of our bottling process have been endorsed every year since our formation by annual audit marks from independent auditors licensed by the British Water Cooler Association (BWCA) where our plant has been graded as Excellent in every year. Seaton Spring water is bottled at source right in the heart of the North East of England. To complement the quality of our water the high standards of our bottling process have been endorsed every year since our formation by annual audit marks from independent auditors licensed by the 'British Water Cooler Association' where our plant has been graded as 'EXCELLENT' in every year. Our award winning plant boasts the latest technology machinery and continues to operate at exceptionally high standards in accordance with the BWCA.